I’m sure you’ve seen them by now. Those cake finishes that should be on a wall for you to look at yourself in. After plenty of painstaking hours of testing recipes and half-assed finishes, I finally mastered the shimmering sweet skill. 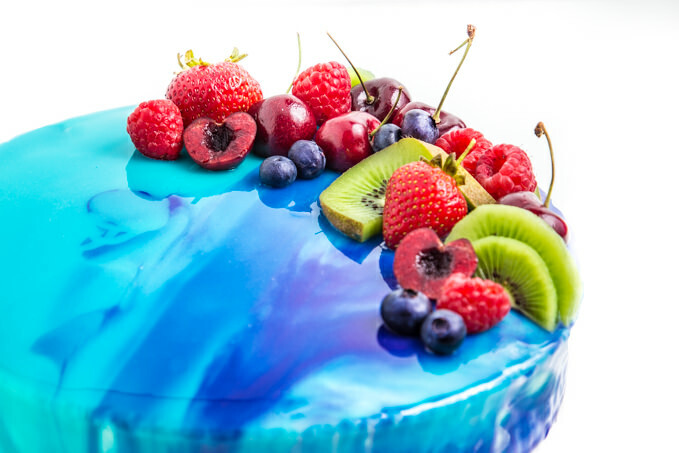 Keep reading to find out how you can make your own mirror glaze finish for your cakes and desserts. It’s actually not all that tough, after all. You can use this glazing technique on just about anything, but it certainly works best for cakes in the entremet category. Entremets are French cakes that are traditionally multi-layered and covered in a mousse mixture. It’s really pretty simple. You bake a cake, toss it into a mold that is a bit larger than the cake, cover it with mousse and pop it in the fridge and have yourself a couple drinks to celebrate. The next day, you glaze it and have another drink since you made something so pretty to impress that other baker in the office that thinks she just won the Great British Bake Off. You’ve earned it. These mousse-covered cakes leave the perfect silky texture to leave a flawless finish. You could also give this a go on a regular ol’ cake with a solid crumb coat of buttercream. Just be sure that you chill it well before glazing. Can I use this technique on a regular frosted cake? Yes! Well, sort of. You can certainly glaze just about any dessert with this recipe. You will still want to freeze the cake for best results, and know that every single bump will show through. You may end up with a finished surface that isn’t quite as smooth as a mousse/entremet cake. Fondant finish, smoothed completely, will work well. My mix was too thin and ran off of the cake! Why did you sell me this horrible recipe?! This could be the result of a few things. When it comes to chocolate and pastry skills, precision in following the instructions to the letter is critical. Most of the poor results I have had sent to me so far have been found to be the fault of not using a candy thermometer to the instructed temperatures or are from not checking the chocolate to be sure it is true chocolate. Real chocolate will contain cocoa butter in the ingredients list. Preferably without any added oils (palm oil, coconut oil, etc.). Greta quality ingredients are expensive, but worth the result. What is glucose syrup? Can I use something else? This is a bit tricky. All corn syrup is glucose-based, but not all glucose syrup is corn syrup. Glucose (click to find on Amazon) syrup is great for candy-making and pastry products. I prefer to use it in it’s pure form, but for most applications, you can swap it out for corn syrup. In this case, you can swap it out without any issues. Can I use regular chocolate instead of white chocolate? Sure! But only if you send me a piece of your cake. What chocolate do you recommend? Using great quality REAL chocolate (see too thin above) will elevate your bakes to a new level. If you are going to put in this much effort, you might as well spend another few dollars and do it right. I typically use Callebaut, Valrhona, Guittard, or Ghirardelli for pastry projects. Many of these you can find on Amazon. Some you can find in chips at your grocery. Be sure to check the ingredients list to be sure you are buying real chocolate (cocoa butter listed without palm or other oils). Can I make the glaze ahead of time to use later? Absolutely! I actually like to make larger batches to use for later. Keep it in an airtight container, chilled until use. Before using, be sure you SLOWLY warm back to the necessary temperature to glaze. Be careful to not overheat. Check out the recipe below for details on how to create that lovely shine. Make the cake. If using a traditional buttercream, leave a thin, very cleanly done crumbcoat. For best results, freeze cake. Entremet or mousse cakes are best. Note: Your best results will be had by using a kitchen scale. Baking is all about precision! Bloom gelatin in the cold water. Allow to sit. Boil water, sugar, glucose in a saucepan over medium heat until fully dissolved. Remove from heat and add in gelatin. Add the condensed milk to the mixture. Pour entire warm mixture over chocolate. Allow to sit for 5 minutes. For best results, use an immersion blender to combine until perfectly smooth and shiny. Alternatively, you can stir carefully. Check the temperature of the mix. Use when the temperature reaches 32C/90F. This is important to not get to correct texture and pour. It may take a while to cool. Stir carefully while waiting. I like this thermometer for this. When ready to glaze the cake, cover a surface or rimmed baking sheet with plastic wrap for easy cleanup. I use a large glass to place the cake (keeping the bottom of a spring form pan or small plate on the bottom of the cake) above the pan. You want to be able to pour and have the excess run off. You can color the glaze in individual containers with gel food coloring. Have all of your colors ready and at 90-95F before starting. They will maintain temperature for a decent amount of time, but you will want to work quickly. 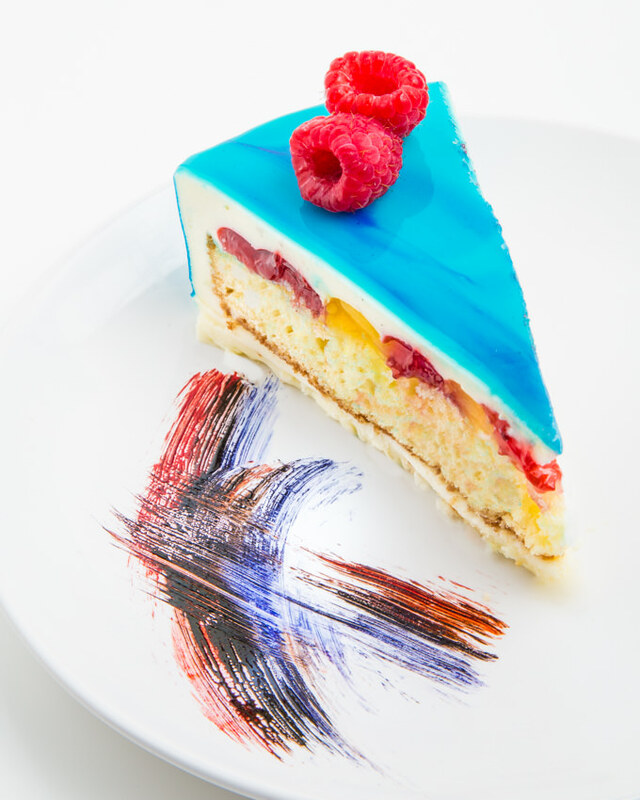 To get a gradient or different color design, pour the base color completely around the top of the cake. Use plenty to cover all spots. Immediately pour other colors. To finish, take a long offset spatula and hold it perfectly level to the top. Swipe the spatula across the top, just barely above the cake level to remove excess. This will leave your finish looking flat and perfect. Allow to sit before moving cake. Rest to set. You may refrigerate before serving. What baking technique have you always wondered about and want to see a tutorial for next? Let us know in the comments below! I tried this recipe and it came out fantastic. Thanks for all the extra tips. I had a hard time finding 35% cocoa butter white chocolate here in Enugu, Nigeria. I was also apprehensive because of the hot weather but it was great. I should send you pictures. God bless! I would like to cover a structure made from rice krispies. (A bowling ball) And I would like to use the glaze to simulate the real look effect. Any suggestions? Especially if I would need to cover first in fondant? Thoughts?? And suggestions welcomed. A bit late on this one, but you definitely need to cover it in something smooth. The glaze will only be as smooth as whatever you are pouring it on. Thin fondant would probably be your best bet. It may be difficult to cover the entire ball. May be able to fill a container and float the ball while spinning it to cover evenly. Let me know if you gave it a go! I’ve successfully used this recipe many times previously.. I’ve come back with a rather difficult request.. is it possible to make this sugar free? I love baking, and my children very much enjoy my efforts. I’ve recently become diabetic and can no longer enjoy all of my treats alongside my littles. 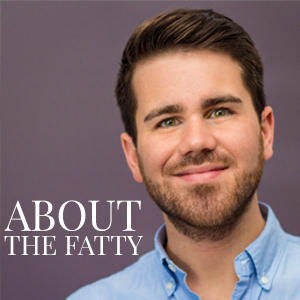 Over the last couple months, I’ve learned some great ways to adapt to diabetes. I have yet to find a mirror glaze that is reliable. Any thoughts? I wish I had a quick answer for this one. I’ll have to think on it a bit, as I’m not sure if changing the sugar base will need adjustments with the other ingredients for structure-sake. Sugar’s chemistry plays a big role in this one… Stay tuned! Would beet juice instead of food colouring work also? Thank you so much! I followed every word in your tutorial and the results were amazing! Thanks for sharing. I wish I could share the picture of the cake, it looks so profesional thanks to your tutorial. Keep an eye out on the blog. I have some mousse cake recipes coming up. You can certainly use milk or dark chocolate for this as well. You just won’t be able to color it. It still looks great as a dark chocolate color. Going to try this recipe but can’t find the cake recipe for th cake. Please send me link! Hi Marilyn — I haven’t posted a recipe for the base cake yet. This is just for the glaze for now. Keep an eye out for that in the near future! If you click subscribe on the top menu, you’ll get an email when it’s posted. I would really like the recipe for that cake or a similar one… any help? Well I think you could do a post on buttercream frosting. I am new to baking and for the love of cakes, I can’t find a good recipe. They all taste too sweet or I mess with recipe so much that it isn’t frosting consistency anymore but I have also tried meringue types and also didn’t like those either as they tasted like plain sugar and butter. I like American buttercream more along the lines of bakery icing but I can never get right consistency to pipe on cake or it’s too sweet to eat. Thanks in advance. That’s a great idea. I’ll try to work on a post about the different types of buttercreams. I have got golden syrup at home, can i use that as an alternative to the glucose, or will it have to be light corn syrup/glucose…will there be any effect in the cake if i use golden syrup..
You sure can. I’ve used Lyle’s Golden Syrup with success. Just know that it will darken the color some. What kind of mousse do you recommend? Do you have a recipe for this? Generally any mousse will work, as they all are full of air and freeze well. I’ll have a white chocolate mousse recipe similar to what I used for this cake coming out soon. Stay tuned! How can we get to know the temperature of the glaze before pouring, if we don’t have a thermometer? Should it be a little hot or something? Or is it like the room temperature? Or should it be completely cooled? I don’t get that part. Unfortunately, you will definitely need a thermometer for this (Step 5). Pastry and chocolate work is very reliant on exact temperatures because of the way that the molecules transform at different temperatures. I have this one and use it very often. You could risk it and try to do it by feel. The glaze needs to be at 90 F, which is just below body temperature. This would mean it would feel juuuuust slightly cool to touch. Unfortunate to hear. The recipe is one of our most popular, and has worked for thousands so far. What type of chocolate did you use? What temperature was the mix when you poured? What kind of cake did you use it on? Was it frozen? Sorry to hear that. I’ve had great success with this recipe, and tested is many, many times for reproducibility. There are unfortunately a lot of factors with these more complicated pastry techniques that are tough to troubleshoot. Thanks for sharing. Could this work for cake pops too? Absolutely! It works well. Just be sure you glaz with the sticks sideways instead of directly up and down under the pop or you’ll end up with a glazed stick too. Do I have to do a crumb coat? I’m making a bundt cake and want to try a mirror glaze. You don’t have to, but you may see through it. Can you do this over a cheesecake? Absolutely. I’ve had a few other readers try it and it work well. Just be sure it is frozen. Does vegan gelatin work also ? Absolutely! Depending on what you use, you may need to adjust the quantity, etc. But, if you are swapping with agar or some other substitute, you shouldn’t have any issues. Can you provide the recipe for the cake you used? I am working on a post for that now. Subscribe to see when it is posted. It cannot be warmer. Warmer glaze will not adhere properly and leave it too thin. Hi there, I followed your recipe exactly and my mirror glaze turned out great. My glaze went on my cake at the right thickness because of this suggestion. I would also add that you need to use the same type of container and put the same amount of mirror glaze in each container when you are adding the gel food color. I did use the same type of container but put a bit too much mirror glaze in one container and the temperature of that container took longer to cool to 90F. -Make sure your cake is really frozen especially if you live some place hot and humid like I do. I was able to mirror glaze over cream cheese frosting. My cake was frosted and in the freezer for 12 hours. I removed it only when I started to pour the mirror glaze on. I had no problems. -This type of glaze, you need to really follow the recipe to the letter exactly. Measure exactly, do everything very exactly. -I went back to the store for white chocolate with cocoa butter. I bought expensive white chocolate chips thinking I could use those, thank goodness I didn’t. Because I can’t control how cool my kitchen is in the summers to my liking I will make mirror glaze again, but wait until one of the colder months. I was able to drive the cake to it’s destination for a birthday gift. My piece of cake I took home, melted in the car on the way home. Glad to hear it went well! — It is definitely important to stick to the details, especially temperatures, with glazing. Enjoy! Thanks for sharing. I would not use this glaze on anything that isn’t frosted. If you use buttercream or something other than mousse, just crumb coat it and freeze. I would still recommend doing everyting in individual layers. Cheers! Okey doke I’m doing a triple heart cake stack for my daughter’s birthday. Graduated in size. Have done a practice run with the glaze. Wondering how it’ll go on a cascade down the cake – reckon it should work if I layer them first, make sure the top is flat (ie slice off any mound) and freeze the whole thing. Don’t really want to run the treble as a trial but would like to know if you think that would work. Sounds great! I would really suggest glazing each layer indiviaually. You can glaze the entire tiered cake, but you will be very prone to cosmetic issues. Glaze tends to bulk up around where the cakes meet. You can clear it up quickly with an offset spatula, but it can leave you with some problems if the glaze is cooled a bit, etc. Let me know how it goes! Is there any way I can substitute the sweet and condensed milk and chocolate for something healthier? I’m making my friend a cake and she cant have sweet and condensed milk or chocolate. That’s a tough one. You need the chocolate for its structure and physical attributes for the glaze. You can make a clear glaze without chocolate, but I don’t think it would hold any color well. I’ll have to try that out before I can offer much more advice. For the condensed milk, you might be able to combine equal parts heavy cream and butter and add about 2-3 tablespoons of sugar to cut it down. Bring to a boil and simmer on very low heat and stir for about 20 minutes to reduce by half. Worth a shot with some effort! Absolutely will work with either type of chocolate! Could you please provide the recipe for the raspberry lemon chocolate cake, it looks amazing! I’ll try to get that up soon! I’ve had a lot of requests for it. Subscribe to see it first! I can’t get the link to load, but I’m so glad it worked out well for the big day! You should be able to click “Choose File” above the comment box here and upload pictures. I would -LOVE- to see it! — Congrats to the newlyweds! I don’t seem to have choose file as an option by the comments section. Wil this get hard to transport the cake??? . It was solidify, but you wont want anything to touch the cake itself. It will damage the finish. You can transport it in a cool vehicle just fine. I am about to try with agar agar… will report back. I think it’s just a simple substitution. Several readers have successfully used agar-agar. I believe it shiould be a 1:1 swap, but I have not used agar much in baking, so you might want to do a bit of research. You can certainly use non-animal geling agents, though. Thank you for the ingredients. I’m going to make it for mother’s day!! My momma tells me the same thing! Hah — Thank you very much for the kind words! Hope you enjoy it! this its really helpful because it is my first time making it. Great question. I assume you are referring to the rehydrating of the gelatin with cold water. The problem I see with replacing this with cold alcohol is that alcohol will most likely cause the proteins and colloids in the gelatin to coagulate instead of reorganize like it does with water. I think you would be left with a gelatin mass that isn’t as smooth to melt and incorporate. The entire function of that water is to rehydrate the gelatin. I don’t think you would get any benefit from using alcohol in that step. Great question! Blooming is simply rehydrating the gelatin. My glaze melted my mousse in a couple spots so my corners are a little bumpy now. Does that mean something was wrong with my mousse? Hate to hear that. Honestly, that could be from a number of issues. My first question would be if you verified the glaze temperature was correct before you poured it. Did you check it with a thermometer? Next… was the mousse cake frozen completely? It really needs to be solid (overnight) to work well. If it wasn’t either of those things, I would guess that your mousse recipe was a bit off-balance with the ratio of chocolate and gelatin. Give it another go! I will be posting some of my favorite mousse cake recipes here shortly, if you follow along. That’s a loaded question! 🙂 I would check out THIS cake recipe. The frosting is wonderful. Thank you so much for the education and the recipe! This isn’t my first time making a mirror glaze but it is my first time with a mousse mould cake. I am confident that is cake will be even better than my previous! Just read your bio. I was once on Talk of the Town for a Mother’s Day cooking contest! How fun! — How’d the cake go?? Can gelatin sheets be used in replacement for the gelatin powder? Absolutely! I actually prefer to use sheets, but most people aren’t as familiar with them. Typically, 1 ounce = 1 tablespoon powder = 3 leaf sheets. I love how you incorporate sipping a drink into this! I’m desperate for the entire recipe for the Raspberry Lemon White Chocolate Entremet Glazed Cake as I’d love to make it this weekend!! It’s exactly what I’ve been looking for! Any chance of getting the recipe?? Pretty please!! Thanks!! Hope to have it up soon! Thank you so much for this recipe. I make a lot of butter cream layer cakes and am keen to try adding a mirror glaze. 1) My cakes are often quite tall (4″ or so) for an 8″ wide cake would I need extra glaze to cover all the sides? 2) When freezing the cake prior to glazing – is the purpose of this just to have a really firm & cold exterior? I want to get the balance right between freezing the buttercream vs freezing the cake solid! Thanks in advance. Will definitely tag you on Insta if it works. Sorry I missed this earlier. — This should make enough glaze for that. You need the exterior of the cake frozen for the glaze to properly set and give the right finish. You wouldn’t have to have it frozen solid, but I would definately give it an hour or two. OH. M. G. this is the coolest thing I’ve ever made in the kitchen. I donfluid pours of acrylic and attempted to layer my colors (for the “galaxy” look) then swiped some yellow in there too—- it’s shiny and beautiful!! Thank you so much for the expert advice. Don’t mind my typos. Hands are still sticky lol!!! Isn’t it neat?! It’s a great show-stopper. So glad you enjoyed it! I just made a lemon Cheesecake and used this fantastic recipe and guess what. It turned out beautiful. I was so nervous about this. I did it. Thank you for the step by step. I measured everything perfectly. Go to my website and it’ll be posting soon. That’s awesome! Cheesecake is a great base for the glaze. Phillip, I have never posted feedback after using a recipe no matter how great the results were, but … THANK YOU!!!!!! This recipe is BRILLIANT! So easy to follow & my very average mousse cake has been transformed into a work of art. Can’t wait to use it again as well as to try more of your recipes. Awww! This made my day to hear. I’ve been on the side of making recipes and then finding one that really blows you away. I’m so glad to hear that this one worked out for you. Hopefully, you will have that experience with some of our other recipes in the future. Be sure to tag us in any posts with the recipe results on social media! I’d love to see. @southernfatty / #southernfatty. Unfortunately, you really do need the chocolate for a great mirror glaze. Are you able to find white chocolate chips perhaps? You may be able to find them online as well. It would be worth the trouble. Trader Joe’s has white chocolate chips for a very reasonable price. Yes! Their chocolate is wonderful. Hi, thank you for sharing your recipe and techniques! Very comprehensive! One question, is it alright to reduce the amount of sugar in the glaze since the corn syrup and condensed milk is pretty sweet already? Would reducing the sugar affect the texture or shine of the glaze? I’ve had several people ask that same question… I haven’t had the chance to try reducing the sugar, but I think you might be able to get away with reducing it a bit. I wouldn’t eliminate it completely, because it does contribute to the viscosity. I’ll give it a try when I make glaze the next time and report back. Do you have a recipe for the cake and the mousse? also, do you know if there is soy in the white chocolate? I need to make something soy free for my grandson. I don’t have the mousse cake (entremet) recipe up yet, but keep an eye out for it in the near future. I think you will have to look specifically at the white chocolate that you choose to use for this to be sure there is no soy in it. I assume soy lecithin is something you will want to avoid, which is indeed in a lot of chocolate. I’m sure you can find some pure white chocolate (which is best, anyway) without it with some work. Thank you southernfatty.com for this amazing recipe…and chef Phillip for answering my questions a year ago. Now I’m a mirror glazed cake master and I’m using this recipe for business. I’m looking forward to making different cakes out of your recipes. God bless you more! Wonderful! So glad it’s working out well. I haven’t tried myself, but I don’t see why you couldn’t swap it out. Agar powder would be used at a 1:1 (so the same) measurements. If you are using agar flakes, you would use 1 tablespoon of flakes per teaspoon of gelatin. You will need to use gel color or powder coloring (my favorite) for this. Liquid may work, but you will risk having the chocolate seize or crystalize due to the water content. I wouldn’t risk it. I think you could use flavored, but you would need to do some work in the amounts. I don’t think you could swap it 1:1, because typical Jell-O mixes aren’t just gelatin. Not sure what the pure gelatin content in those is, but it would be fun to play with. — Hope you enjoy it! I’m trying to decide what kind of cake to glaze. Do you think it would work on an ice cream cake (ie a brick of ice cream, no actual cake)? Or what if I cover the ice cream with fondant. Ohhhh! An ice cream cake would be awesome, I think. I don’t see why it wouldn’t work. You will certainly have to glaze quickly, since a softer base may be prone to melting on the exterior. If it is a smooth top, I don’t see the need for fondant. Let me know how it goes! I may give it a try myself this week. Why did my glaze dull not even after an hour? Hmmm…. Without more information, I’m not sure. Did you use a proper thermometer? Were your ingredients all weighed and the correct quality (chocolate real cocoa butter, gelatin, etc.)? Did you immediately chill the cake after glazing instead of letting it rest to fully set? I Followed a recipe that used white chocolate chips. One thing I did not do was chill the cake after the glaze was done dripping. Chilling is very, very important to mirror glaze. Not only does it allow you to keep a great shape, but also quickly sets the glaze before it dulls more. I would give that a try. Not knowing what recipe you used, you also need to be sure your chooclate chips are real cocoa butter white chococalte, not oil-based like most grocery store items are. Good luck! I tried this recipe as my first attempt at a mirror glaze. It worked perfectly! Thank you for the detailed recipe. That’s wonderful to hear! It’s not so bad, eh? Can I mirror glaze a atificale cake that has been iced with royal icing? An artificial or dummy cake? — If so, I think if you are able to get the royal icing VERY smooth, and then freeze it, you could QUICKLY glaze layers (it has to be very col for the glaze to properly adhere and not run too thin). Note that if you have multiple layers, you definitely want to be sure to glaze them individually, let set, then stack carefully after cleaning up your ridges and bottoms. We used this glaze and were impressed with the shine, but ours seemed too thin and didn’t cover the sides of the cake very well without running off. Any advice on how to make it a bit thicker? Glad it was shiny! — Did you use a proper candy thermometer to check the glaze temperature before pouring? Also, was the cake completely frozen and glazed immediately out of the freezer? I ask that because condensation that forms if it sits for a few minutes can cause the glaze to run without adhering, giving a thin appearance. If it’s neither of these reasons, you could add a bit more gelatin, but I haven’t found that necessary if the other variables are accurate. Just be sure that the mixture is perfectly smooth if you do. We used the right thermometer but did take it out of the freezer at the beginning of the process, so perhaps that was the issue. Will make sure to leave it in there until the glaze is ready next time and hopefully that will solve it. Thanks! How do I use the glaze that remains for the next time? I need to warm it up in a water bath. Merry Christmas! It’s pretty simple. Just keep unused glaze in airtight container in the fridge. When you are ready to use it, you can use a water bath if you want, or just transfer the glaze to a heat-safe bowl over top of a bit of simmering water. This is basically a double-boiler, but I like using a bowl that is larger than the saucepan with an inch of water simmering on low. That way you can grab the bowl when you reach the temp (90 F), wipe off the moisture from the bottom (you don’t want any of that water getting into the chocolate mix) and start pouring. Good luck! I’ve noticed that there are recipes with corn syrup and some without. Do you know what the corn syrup does in the recipe? Also, if I glaze the mousse cake and put it in the fridge will it loose its mirror effect? You may see glucose in place of corn syrup in some recipes. I list corn syrup here because for the traditional home baker, finding pure glucose syrup may be more difficult. They work the same way in this recipe, really. There are a few recipes that don’t use either, but traditionally one or the other will be listed. The syrup acts two-fold. It sweetens the mixture (nobody wants a bland cake finish, right? ), and also plays a role in the viscosity of the final glaze. You need that perfect thickness for the glaze to adhere and look perfectly shiny. Thanks for sharing your beautiful cake recipe! I’ve enjoyed reading all the tips in the comments section too. Will this work on a cheesecake? Ohhhh! That’s a great idea. So… I believe it would. Ish. It would need to be frozen (which should be fine for a cheesecake) before glazing. My other concern would be the crust. It will show through, but may still look ok.
Also, be sure that the top is even and not dipped in of the glaze won’t flow properly. It doesn’t do well if it pools on a cake. You can use an offset spatula to quickly spread it without it leaving lines. I’d love to try this recipe from start to finish. Do you by chance have the recipe to the cake as well? I don’t have the entremet recipe up yet, but I’m working on it. Be sure to subscribe to our emails-dates to see it right when it is up. Thanks! I want to make a holiday cake for Christmas I have the cake recipe and everything I want to do but I want to make it mirrored my only question, is it ok to use frosting and freeze it then glaze it or is buttercream better? Sorry that I’m seeing this so late, but yes. You can glaze any finish, really. Frosting will obviously not look as smooth as a mousse finished cake. Be sure to get it perfectly smooth, freeze, and then glaze immediately from the freezer. I’m going to attempt to make this glaze for a wedding cake for this weekend (saturday) curious if Wednesday is too soon or if it will work out okay? Also wondering if I doubled the recipe if I could pour it over a tierd cake (8″ and 10″) or if it’s possible to glaze them seperate and then stack them? Thanks! Glazed wedding cake sounds awesome! Sooo… this IS a bit of a complicated recipe for some. With that said, I would strongly suggest that you make the glaze ahead of time (it can keep for a week or two easily in the fridge), simply reheating it gently to the glazing temp of 90 degrees F before pouring over the FROZEN cake. If you make this ahead of time, you can make a tester cake to glaze. The cake frosting or fondant has to be extremely smooth. Imperfections will show through the glaze. For the tiers, you will most definitely want to do the layers individually. These can be stored cold after glazed, but they certainly have a better shine if you glaze, let it sit at room temperature for 30 minutes or so before cleaning up the bottoms, and then carefully store cold for a couple hours before presenting the cakes. I just made this as a wedding cake for my daughter’s wedding. I did three cheesecakes which I then coated in a lemon mousse froze and glazed. I have tried to put the link below I’m not sure if it will work and it’s not a great picture but I will try to submit one after I get the professional photographers pictures back tomorrow. There is a close up of the middle layer. This recipe is terrible. My cake was ruined by the glaze. I followed the directions carefully and I messed up my cake. Sorry to hear that, Mary. This recipe is actually my most popular one on the site and successfully made by thousands now. I could try to help troubleshoot your problems with some more details. What kind of cake did you glaze? Was it frosted? Frozen before glazing? Did you use a thermometer for the chocolate in the glaze? Was it the correct temperature when you applied it? i am not able to find glucose syrup here. can i drop that and make it with the remaining ingredients? Unfortunately not. It is a critical ingredient. Do you have corn syrup? Where do you live? – Search for nearby cake supply stores. They will definitely have glucose syrup. – Purchase glucose syrup from Amazon (click HERE to see). – You can buy light corn syrup from Walmart in your area. Every Walmart will have this in the baking section. It will also work just fine instead of glucose. Karo light corn syrup will work fine. Good luck! I have a question about gauging the temperature. When I have my glaze sitting in its container, I periodically take the temp. But, it seems to be a different temperature based on where in the container I inserted the thermometer. Middle of the container is one temp, outside edges are another. If I give it a gentle stir, I get a third temp. How to account for this? I’ve yet to let it get cool enough, even when a temperature reading taken from the center is where it’s supposed to be. Help! The best way to do this is to mix the glaze very well before taking the temperature. I generally mix with the thermometer kept in the container. Hi, I’m wondering how the taste is for this and if I added any flavoring if that would affect the consistency or sheen? Heya! — It’s kind of odd to explain the texture and flavor of the glaze. It’s almost like a thick jello texture with a white chocolate flavor. You could add flavorings in addition, but I would be cautious since whatever you add will be combined with the flavor of chocolate. If you do add flavors, I would use very concentrated oil flavorings. Thanks for a great recipe, it went extremely well! thanks for all the tips also – that made it much simpler to avoid disaster! You should see a “choose file’ button above the comment box. Select that, pick your image, and upload. I know this is gonna sound a little cliché since everyone has said it already but I just used your recipe and it turned out excellent!! I did everything exactly as you had laid out and it is probably the best baking work I have ever done. One thing that I made sure to do was to use Ghirardelli white chocholate chips and I’m very impressed with the results. One of my friends even commented about how it was the best cake that he had ever seen and it’s true because mirror cakes (done right) are works of art. That’s awesome to hear! I love hearing success stories on here for my recipes. Using real chocolate is key to a lot of great pastry world. Well done! Firstly that’s a lovely looking cake. The question I have is what is the purpose of the glucose or corn syrup? The sugar is a critical ingredient in the glaze because it allows for the correct viscosity and texture. Like most pastry ingredients, the sugar helps to bind with the gelatin. How well would this glaze fare over a baked cheesecake? I have seen it used over no-bake cheesecakes, but was hoping to use it on a baked NY-style one. Hmmmm… I think it would depend on a few things. Your cheesecake-baking skills would need to be pretty stellar to keep it quite smooth. Be sure to line the spring form with paper to keep it very smooth. Also take care to not overbake and cause any cracks. I prefer to use a thermometer to bake mine. Most people wayyy overbake instead of pulling the cake out early enough and letting it rest. It will continue to bake some and set without cracking if cooked correctly. Otherwise, I would just freeze it after completely cooled and then glaze just like you would a cake. If it’s smooth enough, it would probably look pretty good. Good luck! What kind of frosting to use before pouring the glaze above? Is any kind of buttercream / cream frosting / mousse is possible to create a mirror glaze? Most of the videos uses mousse, so im curious if its possible to use normal frosting before the glaze. Mousse works best, as it is the most smooth when it comes out of a mousse cake mold, but you can certainly use any frosting. You will just want to be absolutely sure it is as smooth as possible and frozen before glazing the cake. Can the glaze be poured over a whitechocolate shell? What exactly do you mean by shell? If its a hollow chocolate shell, I would say no. The glaze has to be applied at 90 degrees F, and chocolate will melt below that temperature. It can be applied to white chocolate mousse and frostings, and some ganache coatings if they are frozen when glazing. Do i use chocolate mousse in between for a 2 layered cake as well? or do i have to make buttercream for the middle ? Can you use Rich’s Bettercreme under the frosting? Provided it’s frozen of course. I really don’t like buttercream or mousse. Too rich. If Rich’s is what I think it is (the whipped icing product? ), I’m really not sure. I would worry a bit about it melting, but I think if you completely kept it frozen before glazing, it may work out. I’ve not tried the glaze with a lighter, airy undercoat. I’d give it a go. Maybe make the glaze, test it on a bit of frozen icing before doing the whole cake. You can then just rewarm the glaze to 90 degrees and use it again. It keeps very well chilled. I’ll try that, thank you!! Can I use agar agar in place of gelatin and in what quantity? Hi Mona — While I haven’t tried it myself, the general rule, since agar is much more firm, is to typically use it at only 1 part for what would normally be 8 parts gelatin. So about 2 grams for this recipe. I would consider testing it out by making a tiny second cake on the side before dumping it on a full one. I made this but ran into to the problem of moving it without damaging the finish. Any tips on moving the cake from the pedestal to my cake plate cleanly? – Be sure you have something under the cake bottom when you start. I like these cake rounds a lot. – Place the frozen cake on something smaller than the cake base before glazing. A smaller pan or bowl works great. – After you glaze, take an offset spatula or sharp knife and run it around the bottom ring. I usually do this about 5 minutes after glazing. You may need to repeat it a second time if the glaze was heavy. – Transfer it from this to the serving platter. Gelatin sheets are what I typically use. You should be able to swap them 1:1. I believe this recipe is about 5 leaf sheets of gelatin. Soak and add to the warm mix off of the heat, like you typically would with sheet gelatin. Which one is better for glazing mousse cake, dairy or non dairy whipping cream in mousse? Heavy whipping cream is best. Dairy, for sure. The higher fat percentage will help greatly with the texture. I made the glaze for the first time last week and it wasn’t too bad, but it went dull. Is that because I stored the cake in the fridge overnight after pouring the glaze or because I had some air bubbles? What is the best way to store the cake if I glaze it the day before serving? Hmmm. You actually need to keep the cake chilled. Not sure why it would dull. It should last a couple days and stay very shiny. Did you use proper real chocolate? Hi Phillip. I have made a mirror glaze cake before but wjth ordinary frosting. I have never made an entremet before and i dont know how so could you please give me a recipe for it. I hope to have some entremet cake recipes on the blog soon! They’re pretty simple, really. Just several steps. Subscribe to get the first look. Also… I do notice that the cake will shine a bit more once at room temperature. You should be chilling and letting it sit for an hour at room temp. or so before serving. See if it recovers after that, perhaps. I’ve prepared a cake with jam on it and then covered it with cream composed from whipped cream and Mascarpone cheese. Then I freezed the cake. On the frozen cake I’ve poured the glaze (at 35 degree Celsius). It looked fine (a bit transparent but I guess I need a better chocolate and to cool the glaze a bit more). My guess is the whipped cream frosting. Whipped cream melts very quickly, even if tempered with something like mascarpone. If it warms too much, the glaze is going to fall off. I would recommend a different cake finish (fondant, buttercream with high sugar ratio, mousse, etc.). Hi there! Made the glaze and itsturned out great! I am making the cake tomorrow as well as the mousse to cover the cake. Just wondering the best way to store this. Room temperature or refrigerator? Also what would be the best method to reheat this to proper pouring temperature? Great to hear! I just made some myself this weekend. It’s best stored in an airtight container in the refrigerator. When you reheat, just plop it all into a bowl and warm to 90 degree. Be very careful to not heat it too much, or it will risk breaking. I prefer to put it in a heat-safe bowl above some simmering water. Just be sure you wipe ALL of the water off of the bottom so it doesn’t drip when you pour it. Be sure to share the final product on social with us! You can tag#SouthernFATTY / @southernfatty. I used colors from the AmeriColor gel 12-pack kit. It’s been a hot minute, but I believe I used the Sky Blue for the base, followed by the Royal Blue for the center lines, and the Violet for the purple side before pushing the offset spatula across in the direction of the darker side. Good luck! Let me know how it goes. Thanks for sharing! It looks fantastic! So glad the glaze worked out well for you. I follow the recepie exactly and it came Wonderful.!! Love it, love it.!! Can I do a mirror glaze on a cake topped with whipped cream, or would it melt the cream? I think it will depend…. It you freeze it like you should with other finishes, it may work. If it is just straight whipped cream, I wouldn’t risk all the work to then ruin it. If you are stuck on using whipped cream to finish the cake, I would recommend maybe doing 1/2 whipped cream and 1/2 regular frosting. Or try a stabilized whipped cream (Google that and it will show you what it is — whipped cream with gelatin added, basically). Good luck! Let me know how it goes. Thanks so much for this recipe. I was thrilled with the result! Happy to hear! Thanks for commenting. 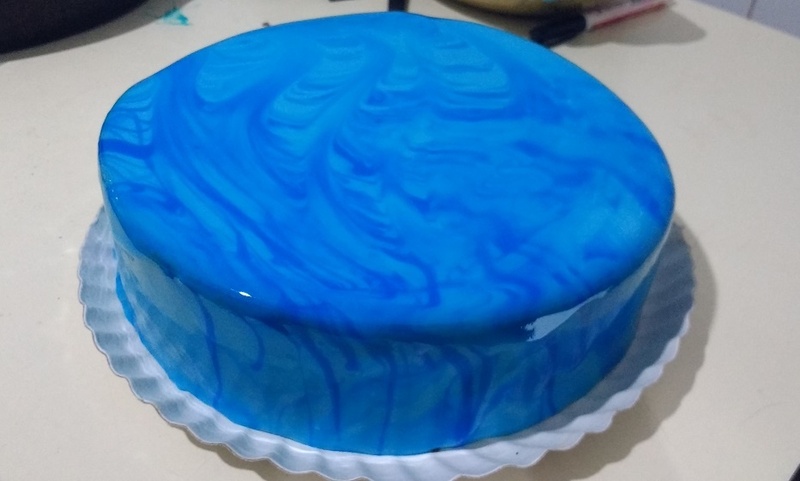 I loved your recipe..just cant wait to try it on my own..Also the various comments you made on the visitor’s queries would also be useful while i try my hands on this mirror glaze. Just a small query , can i do this with regular muffins as well? Muffins? Hmmm… You can glaze anything, but if the exterior of whatever you put it on isn’t perfectly smooth, you will see every bump. If that’s ok with you, sure. Is there a way to replace either the white chocolate, sugar, or condensed milk with something to lower the sugar content in the glaze? I would not recommend swapping the chocolate out with anything. It is pretty critical to the texture of the glaze. Same with the sugar, unfortunately. I do believe other pastry chefs have swapped the milk for coconut milk, etc., but haven’t tried it myself for an absolute answer. Could I use evaporated milk instead of condensed milk? Also, could I use a sweetener like Splenda instead of sugar? I am trying to minimize the sugar content since I am making the cake for someone with diabetes. Hmmmm… I’m not really sure how this would work. I would lean towards thinking that the sugar in the condensed sweetened milk is important to the finally product texture, but it might be worth a shot. Evaporated milk technically has the same amount of water content as condensed milk, so it could work. Sorry I can’t be of more help. Unfortunately, cakes like this aren’t so low-sugar friendly. I have tried this mirror glaze a few times and each attempt after a few hours the shine goes away…any suggestions or thoughts? Thank you for your help. Hmmmm… that is odd. Are you using a thermometer? Real chocolate (cocoa butter is very important to getting the right look). Typically the shine is from the gelatin. Did you by chance freeze the cake after it was made? That will cause the shine to disappear. It has to only be chilled, not frozen after. 90 degree F. Poured over a frozen for two hour buttercream standard cake so I’m lost as to why I can’t get the shine right. When I first pour the mirror glaze it’s perfect but I either leave it out to be served or just place in fridge until ready to serve and that’s when the shine goes away. I’ve tried it with a tad extra gelatin incase humidity here was affecting it, but once that fully cooled it was pretty much like a gummie bear glaze which all the kids loved. I appreciate being able to pick your mind on this. can you adhere fondant decorations to glaze cakes? I hate cakes covered in fondant but want to make some extra decorations. If so is there a “best” attachment method? I haven’t tried, but don’t see why you couldn’t. Just know that the glaze ends up setting and stays quite sticky. Be cautious placing any decorations, because you wont be able to move them without messing up the finish. Good luck! Let me know how it goes. I am wanting to make a batman cake for a birthday with black glaze and then somehow add a yellow or silver symbol to the top. Any ideas? 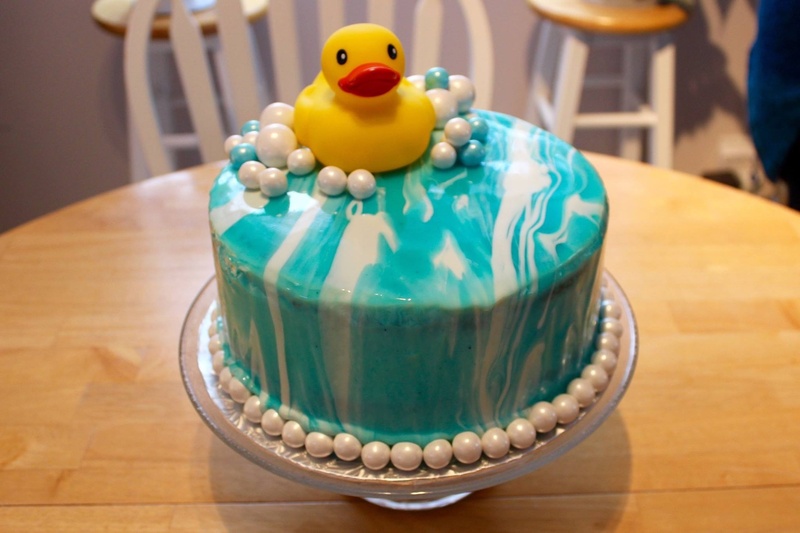 I believe I saw someone do this by making a fondant decoration to place on top, but i was hoping for the type of effect you can get from a stencil and powdered sugar(if i can figure out a powder item that is bright yellow or silver). I guess I want a painted on type look that is flat instead of sitting there. With everyone mentioning the stickiness, I am worried about laying a stencil on top to apply anything. 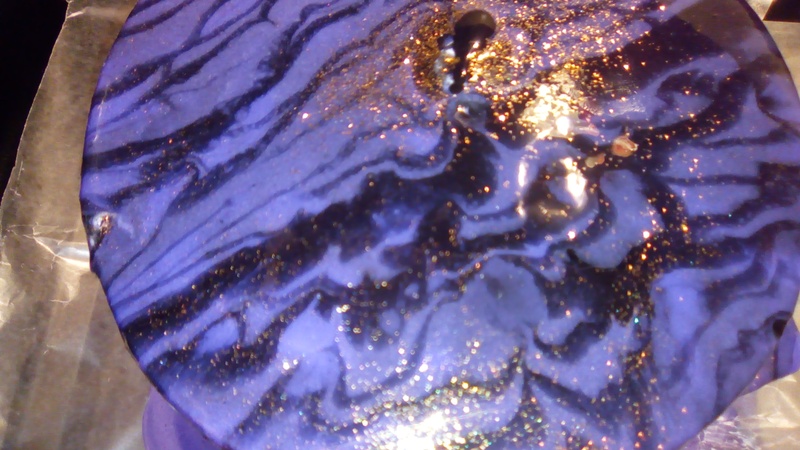 I just discovered a gold luster dust…would that work with a stencil or would it not look okay dusted on? I think luster dust would look GREAT, but be sure it is applied after the glaze is set. Be cautious about the stencil. It will stick to the glaze, even when set. I would hover it over the cake instead of placing it on it directly. Sorta… It ends up kinda like Jello. It won’t be hard, and will stay slightly sticky with a thick layer. It’s an interesting finish. You can certainly decorate it, but you will want to avoid trying to spread much on it. Can I use beef gelatin instead ? Absolutely! Gelatin is gelatin when it comes to this application. My favorite to use is THIS one. I made it for the first time today. Never tasted a mirror glaze cake before so I have no idea is it that sticky. The glaze looks okay but it’s too thin and didn’t cover the whole cake. Great shine! The glaze will definitely stay sticky, but should firm up quite well. Did you use a thermometer to check the temps? Just curious if this glaze would hold up in heat and humidity? I am making a cake for a wedding that is out doors in southern Louisiana. Probably depends on how hot and how humid. I make this during summer in Nashville, but would worry a bit if it would be in the sun or out in the 80s, etc. It will certainly melt at the higher end of that. Hi! So i made the glaze for a cake yesterday. I followed the recipe, both in temperature and weighing everything with a digital scale, but my glaze turned out really sticky? I froze the cake before i applied it – though i covered it in raspberry jam instead of mousse, as i forgot to buy an ingredient, and didn’t mind if the red showed through. (Obviously it didn’t get the smooth finish you got, but i was prepared for that). But the excess that ran off was just as sticky as what stuck to the cake so i don’t think that the jam is why. when i went to smooth the layer over with a spatula, it stuck to it, making holes that literally looked like peeled latex, and even though i chilled it for almost two hours it didn’t set? I used glucose and made sure the white chocolate was cocoa-based. I did use gelatin sheets instead of powder though, do you think that could be it? I used the mixture at 32C, but i’m thinking maybe i should’ve mixed it with the colors I’d prepared while it was warmer, instead of stirring it in after it was at the right temp? Other than that though I really like the recipe!!! Beautifully done! 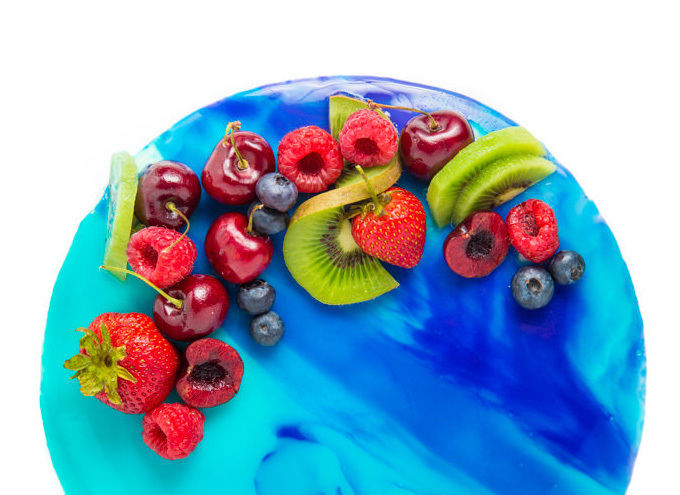 — Mirror glaze is going to be very sticky, even when set, by nature (because of the gelatin). Unfortunately, you really can’t use a spatula with this, and have to rely on the cake finish being perfectly smooth to get a great look. I generally use gelatin sheets (actually prefer them), so I don’t think that had anything to do with it. It looks like you did it just right, but just had a few bumps with finishing. Love it! You need to swap the white chocolate out for regular chocolate if you want it to stay dark . I think it looks great! Do you think adding some of that sugar pixie dust to the icing would make it sparkle or do you think that would mess it up? I think you could probably mix in some luster dust, it would work. I would be cautious with adding sugar ingredients. Maybe split off a bit on the side to test first? I would add it in during the 90 degree hold. If it is actual sugar, it probably won’t melt and you may have to try an alternative luster. Wonderfully helpful comments and tips, many thanks Phillip! What is your foolproof way to lift the finished cake off the ringform base and transfer it to a cake stand? Excellent question! Generally, I use a cardboard cake base. I also almost always add a circle of parchment on the very bottom of all of my cakes when I am preparing the pan to start. Can you use candy melts instead of chocolate ??? You can try… I think it may work out. I haven’t tried, as I much prefer working with real chocolate for texture and flavor. Could I use glaze to cover just a mousse? No cake. Can the gelatin be replaced with agar agar powder? Also is there a way to make the glaze with dairy free chocolate and omit or replace the condensed milk with something else that’s not dairy? Hmmm… I’m not sure if you could swap it out. I know that agar is much more firm, and typically used at only 1 part for what would normally be 8 parts gelatin. You should certainly give it a try in a small batch and see. I don’t have experience with dairy-free chocolate, but as long as you have real cocoa butter in the chocolate, I would think it would work well. i know sweetened condensed coconut milk exists. i’m not sure how it behaves but would assume it could sub easily. Absolutely. You can’t really put anything over the glaze. It does gel, but not enough to apply anything heavy to afterwards. You can decorate a bit, but apply a very smooth buttercream, freeze, and then glaze. Thanks for the recipe! I’ve had a go this morning (6am recipe testing is the best!) The glaze turned out nice and shiny, however it’s a bit thin. The came shows through in some parts on the sides. Any idea what this would be? I did measure everything out.. was thinking perhaps too much water? Love morning recipe testing! — Glad you were able to get a good shine. Did you use an accurate thermometer to gauge when the glaze was ready? Typically, I have found that this is where most go wrong. If it is too warm (it takes quite a while to cool, amazingly enough), it will run quickly. So, quick question… Is there something that can be substituted for chocolate? Or does the chocolate have no effect on the taste of the glaze? Oh! Also, could I pour the glaze over an angel food cake without frosting it or would that mess everything up? You could try. It might work if it were frozen and baked well on the edges to prevent any soaking in. Alternatively, you can lightly frost the angel food cake and use that for a smooth finish. I tried the mirror glaze with a frozen mousse cake and the top looks great. However it looks like the glaze did not stick to the sides of the cake! It has turned out streaky, with the mousse cake visible in some parts. Hmmmm…. I would guess the temperature of the glaze might have been off? Did you measure everything with a scale? Hi Phillip, thank you for your recipe! This is my result. I happy for a first try. I was wondering if I can freeze the glaze that I didn’t use. Looks great! Thanks so much for sharing a picture. — I’ve never frozen it, but i have kept it in the fridge for a while. If you dont mind, what is the best size of cake for this recipe so I can’t have much mixtures left? And is it okay if I use SMBC frosting? Thanks in advance. This recipe was made for a single layer 8 inch cake with added mousse around it. I was left with quite a bit, so I think it would be fine for a standard 2-3 layer 8-inch. As the frozen cake is thawing, does it affect the glaze ? It would depend on the cake type. With the mousse cakes in this example, it works beautifully. For regular flour cakes, it may change things a bit, but should generally be fine. Is there a way to make this mirror glaze and have it set solid? Say on a cake pop for example? I know as bad as it sounds my brothers girlfriend has seen the big version and wondered if I could make pop versions for the christening as it’s more versatile and saves hassle of cutting such a beautiful piece. Absolutely. This recipe sets completely once it has time to cool. All mirror glazes are left a bit stick, though. That’s just the nature of the gelatin that gives it the shine. You will need to keep the pops from touching anything. 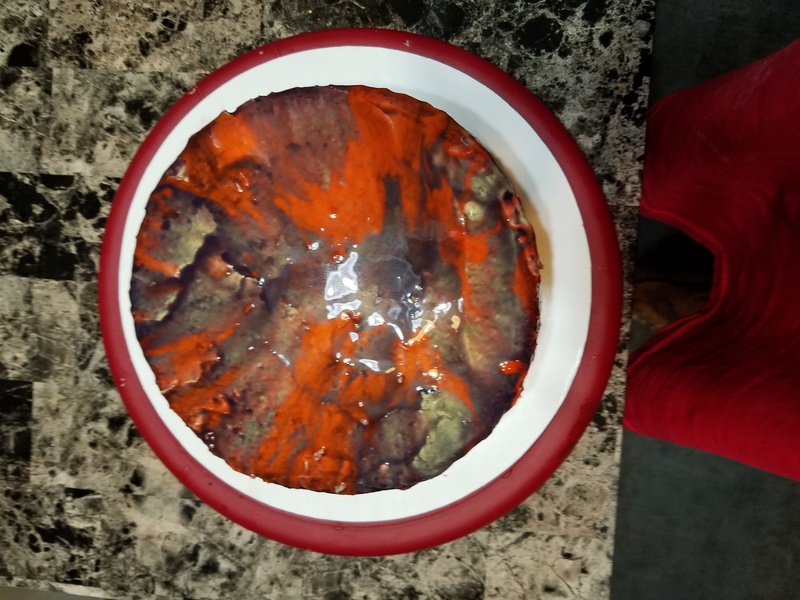 I’ve played around with pops and have had some beautiful results with making a bowl of the glaze and putting spoonfuls of different colors, swirling the pop when you dip it in and then pushing it into some foam to result upright. It will set pretty solid once it rests. does a cake covered in mirror glaze have to be refrigerated after it is glazed if nothing else has to be refrigerated and how long will it last unrefrigerated? there doesn’t seem to be anything in the glaze that would have to be refrigerated? It does not have to be refrigerated, but it does take some time to reqlly solidify and set properly otherwise. I usually find that the finish sets in an hour in the fridge well. If you aren’t chilling it before taking it out, I would allow a couple hours at least before serving. Once the glaze sets, it is fine at room temp for quite a while. I would make the macaron shells (PS – We have a great guide for them HERE), chill them in an airtight container for a day or so (the shells actually improve with time resting cold like this), and then glaze and let them rest for an hour or so room temp to set the glaze. My only worry is that the 90 degree glaze may damage the shells, but if you have a solid macaron, it might work. After applying glaze, can cake be frozen until the use? Will keeping the glazed cake in a freezer spoil the look? It will keep well, but I wouldn’t freeze -after- glazing. I usually put a glazed cake in the refrigerator. It will keep for a few days chilled. Careful covering it, as plastic wrap will stick and ruin the finish. I use a cake carrier. Hi Phillip, Thanks for recipe! This was first time I make this glaze, however it turned great! I put cake in cake container ant kept it in freezer. After I took it out, glaze looked shiny and mirrory ,same as right after I made it! Glaze is really sticky so you can either put some toothpicks on the side of the cake and cover it with a plastic wrap or simply put the cake in cake container so it does not touch the glaze. Either way glaze looks grate even if you keep it in freezer and it will not freeze or harden or change the colors. So adding gel balls or fondant and mod chocolate accents cannot be used? You could certainly add accents after the glaze has set. It remains a bit sticky and will certainly hold onto anything you put on top or the sides. I haven’t posted my mousse cake recipe yet. If you search for chocolate entremet you’ll find some great ones until then. Hello! I am stuck on the glazing. I followed the recipe perfectly and used a buttercream frosting. After I started glazing, it turned into a blotchy mess and did not adhere to the frosting. Is the frosting supposed to be frozen or room temperature? I did it while still frozen, which I thought was correct. What did I do wrong? hhhmmm, I am thawing the other cakes now to try the buttercream at room temperature. Yes, I did my best to keep the mixture at 90°, but since I am trying multiple colors, it is difficult. Trying again! Is the top of the cake flat? I tried one flat and one rounded. Both were unsuccessful. Ugh! Hate to hear that. Did you use true chocolate (contains cocoa butter) or possibly just chocolate chips (that may not be actual chocolate)? Gelatin powder or leaf? — If everything was measured properly (gelatin quantity is quite important) and you used real chocolate at temp, I’m not sure why it wouldn’t coat well. I’ve seen buttercream work fairly well for most. I’ll do my best to try and help you get it sorted. Hi there. 🙂 You say in one of the answers that water is the enemy of chocolate. Is it possible to make a glaze without chocolate? I would love to make it with carrot juice or violet syrup. The chocolate is really needed to get the right texture and coating. The cocoa butter in the chocolate base helps to give some of the shine. The gelatin is what really kicks the shine up, though. I wouldn’t leave out the chocolate, but I don’t see why you couldn’t swap the water in Step 2 out with an infused syrup or juice to add some extra flavor. If you use the syrup, I would probably do half syrup (maybe even 1/4) and the rest water to cook with the sugar and glucose. Let me know how it goes if you give it a try! Soooo…. yes and no. You technically can use liquid coloring with chocolate bases, but you run the risk of it seizing (it contains water – chocolate’s enemy). I would only use a few drops if you want to try it. Take some of the warm chocolate mix to its own bowl, add the coloring (making sure it combines well), and then mix that back into the full bowl. Gel based is really best, though. Especially if you want intense colors that may require a lot of coloring. Can you use some of the food coloring as a part of the water in step 2 without worrying about the chocolate seizing? I don’t see why you couldn’t do that. I would just mix it in when you are adding the gelatin, after it has been removed from the heat. I wouldn’t glaze a ganache covered cake. It will definitely melt. You’ll need a smooth fondant or frozen buttercream crumb coat if you aren’t doing the mousse cake (which is the smoothest). I guess you could try freezing the ganache covered cake. But the glaze HAS to be at 90 degrees F to work properly. I would test it out before doing a whole cake with it. I want to know which type of cake requires mirror glaze? Can we do on baked cake? This is best used on entremet cakes (mousse covered), but regular cakes can be used. Read through the post and I address that exact question. If using a regular flour cake, you will want to flatten the top, put a thin coat of icing, and chill it first. Can you please show the recipe ……. This recipe is only for the glaze. If you google “mousse entremet cake” you’ll find lots. Good luck! hello I tried the mirror glaze for the first time tonight. I frosted the cake and then froze it. for some reason the mirror glaze was very thin and runny even though I followed the recipe. the recipe called for 16 ounces of candy melts in my bag was only 12 ounces. I did not let the mirror glaze cool before applying and my mirror glaze came out very transparent. Should the glaze be cool to room temperature before being applied? The first thing that sounds wrong is the use of candy melts. You need chocolate. Real chocolate, not oil-based products. Melts and many chips, etc. are not actual chocolate. Look for cocoa butter in the ingredients if using chips. The next problem I see is that you said that you did not let the glaze cool. This recipe is very dependent on temperature. Give the steps another look. You have to cool the glaze down to 90 degrees, using a candy thermometer to check. Unfortunately, you have to be quite precise, as chocolate behaves differently at different temperatures. Good luck! Thank you for your quick response. Yes, most of the YouTube videos never specified choc vs candy melts. After looking back only one said to cool the mixture before applying. Luckily it was a practice cake and I get to eat it! So now I’ll follow your recipe instead. Can I use karo syrup instead of glucose since it still corn syrup? Phillip, do you think Karo could be used in place of the glucose? I’m a cooke decorator, and I’m trying to find something that will give areas of my cookie a very high shine, without dulling after a couple of days. Sure. I’ve used light Karo for this several times. Great! Thank you for your response! One last question, what is the longest you’ve had the glaze sit before serving? I’m curious as to how long the shine generally lasts. I’ve had (and actually prefer) this recipe on a mousse cake in the fridge for a couple days before serving, and then leftovers for another 2-3 days after with no change. The shine shouldn’t really fade away. Be sure to seal it up well (plastic wrap will stick, FYI – I use a cake carrier for an airtight seal) and you should be good to go. Perfect. Thank you again! I appreciate it! How many days can I keep my cake in the fridge once glazed? Thanks in advance. I’ve kept them for 2-3 days without any issues. If you need it much longer in advance, I would make the cake, freeze it, and glaze it the night before and refrigerate. Let me know how it goes! Hello. I made this cake but didn’t follow your recipe. I did not use glucose syrup and was short a few ounces on chocolate. I was amazed by the results but it began to show my vanilla mousse frosting which didn’t matter because it gave it more of an marble effect. However I am baking for my baby shower and can’t make this error. Do you think the lack of corn syrup did this. Also, how long do I freeze the cake for (vanilla cake and chocolate cake). How long may I fridge the mirror glaze before use. I have attached a photo. Thanks. Glad it worked out well for your first go. Unfortunately, I don’t see any photos attached. I assume that you used a regular flour cake? If so, you will not get a smooth finish from a cake that doesn’t have a smooth finish. The glaze is quite transparent with regard to the finish it is applied to. I used a mousse cake for this, placing acetate paper around it to remove once frozen to keep it quite smooth. What you can do for a regular cake is to put a very smooth fondant layer over it all and work it with a fondant smoother for the best results. You can get a decent result with buttercream as a base as well. Apply a crumb coat, freeze and then apply a second thin frosting coat. Freeze and then smooth it before you apply the glaze. Hope to see it work well! I used vanilla mousse as a base and it came out incredibly smoothe. I think my lack of corn syrup could have been the issue. I found your recipe after I tried and noticed yours included corn syrup. But overall it looked amazing. That might make somewhat of a difference. From the pic (thanks! ), it looks like your glaze may not have been as thick or cool as it could be for coating. Did you use a thermometer to check that? I freeze all of my cakes overnight out of convenience, but give it at least a couple hours. Thermometer read 90 degrees Fahrenheit. Question is could lack of corn syrup had made it less thick? Definitely will help thicken. Sounds like you’re on the right track to me. Thanks for all your help. Just trying to nail it because I want this look for my baby shower cake. I made a yellow cake and wanted to make this glaze but it came out to liquidy. What do you think I do wrong? From what I read around the web, I tried this too and messed up, I’m trying again soon, maybe you did what I did and didn’t let the mixture cool down to settle. I thought once it was done mixing I just added color and poured it on and it just soaked into my cake. Yup! All about temperature, really. Good luck! Did you use a thermometer? It can take a while to cool to the proper temperature. What kind of raspberry and lemon filling did you use? Was it a jam or a real fruit concoction? Also, was it just regular mousse filling? It was a real fruit raspberry and lemon curd. The mousse was an entremet mousse recipe that I use. I’ll be posting the cake recipe sometime soon. Hiya, my daughter used your instructions and wanted me to show you the result. We’re very happy with it! Thank you for the recipe! Hey CJ — That’s great to hear! Would love to see a picture of it if you have it. You can post here or tag us on social media with @southernfatty. Have a great weekend! Looks great! I’ll definitely add that point to the post. Good tip for people to have. I usually use acetate paper to keep super-smooth sides on my cakes, but fondant may be another option. You could smooth it and chill, followed by the glaze. Thanks for sharing! I tried this yesterday! Great recipe and directions, I am by no means an experienced baker or cake decorator… but I was more than happy with my end result. My one flaw was, my crumbcoat needed to be thicker as my cake was darker then the white icing and showed through the mirror glaze (I thought the glaze was more opaque). Does the brand of white chocolate matter? Sorry for the delay! — It shouldn’t matter. Just be sure it is true white chocolate, as most chips and grocery store chocolate is vegetable oil and not real chocolate. Look for cocoa butter in the ingredients. What chocolate would you recommend? And where could i find it, preferable in a store. Thank you ! Finding good chocolate in a store can be tough. I use a few different options, but almost always order it. Guittard is great. Callebaut is one I’ve used. Ghirardelli is prob a good option that you can find easily in stores. Just check the labels and make sure that it is real chocolate. The baking bars are a good choice. I usually use white chocolate for this recipe since it holds colors better. Make sure grocery white chocolate shows cocoa butter in the ingredients, not an oil base. Can you use Wilton icing coloring? Or does the Gel need to be liquid? Yup. You should be able to use that just fine. I’d love to have your recipe for the Raspberry Lemon White Chocolate Entremet Glazed Cake. Is that possible? Happy to do that. I’ll work on getting it posted sometime soon. It’s a winner! If you subscribe to our newsletter posts, you’ll get it emailed to you when it’s posted. Once it sets is it sticky? How far in advance can it be made? Do I need to do it the day of or can I do it the day before? Do we keep it refrigerated? It will be sticky, but will eventually dry a bit. It stays sorta like thick jello on the outside. You can and would be better off to make it the day before. Best to keep in the fridge if using the next day or two. Just don’t put anything directly on the cake (like plastic wrap) or it will smudge it. I use an airtight cake container like this one. Good luck! Let us know how it goes. Thank you. I am going to try this tomorrow I wondered if you tried it with flavored gelatin? If I wanted it flavored could I use flavored or would an oil be better, like LorAnn? Oops! Missed this one. I would go with oil to flavor, but it may work either way. Of course it looks nothing like yours, but all in all I am really happy with my first attempt. I used a 1 layer white cake with buttercream. I am not adventurous enough to try a mousse cake. Next attempt, cake pops. Silly question — but I just want to make sure I fully understand before I waste ingredients! By corn syrup you mean good old light Karo syrup right? I’m currently living in Germany where, unfortunately, glucose is much harder to acquire, especially on short notice. Luckily I can get Karo at the English shop. Yup! That should work fine. If really liked this recipe. I wonder if you could show us how to make chocolate glaze please. Thanks! Chocolate mirror glaze? It would be the same recipe but swap the white chocolate for dark chocolate. I’ll try to use it in a future recipe. Wow, I really want to try this! I’ve seen pics of these gorgeous finishes and assumed only pro pastry chefs could pull them off, but your instructions make it seem actually doable! Thanks for sharing this. BTW found your site through the Eater article! So glad you found it! — Mirror glaze is def one of those things that looks intimidating, but really isn’t all that bad. Just grab a thermometer and give it a go! If you follow along with the blog, you’ll likely see a Halloween twist on this recipe coming up soon. Is it 2/3 cup glucose or corn syrup? It seems like if there’s more water in cs, the quantity would be different. Thank you ! That’s a good observation, for sure. I typically use glucose syrup, but haven’t had any issues swapping them out. Glucose syrup is about 4-5% less water than corn syrup. The time that it takes the mixture to get to the correct temperature may vary a bit depending on what you use, but should still work with the amounts given. Good luck! “To finish, take a long offset spatula and hold it perfectly level to the top. Swipe the spatula across the top, just barely above the cake level to remove excess. This will leave your finish looking flat and perfect. Oops! Should be good now. Good luck! Thanks so much! I’ll make sure to share my results on Instagram. mine ran to thin on the sides. I don’t know why? Did you weigh or use measuring cups? Usually too thin means the glaze didn’t cool enough. Be sure you are checking the temperature with a probe before pouring. I have the same issue. I weighed everything properly, and pouring over cake with right temperature. I also tried different white chocolate. But never get the nice side. Why? My first guess would be that the mixture wasn’t stirred completely when checking the temperature. I’ve seen some people check and the actual temp was higher because the prob wasn’t getting an overall ready. Be sure you stir (gently – no air is wanted) and take a middle temp with a good thermometer. My only other guess is that the chocolate or glucose/corn syrup you used had a different moisture content than mine. Did you use true chocolate (ingredients list: cocoa butter for white – NOT oil based). It’s tricky! I stirred very well. So the temperature is not the issue. I tried both Belgian white chocolate and wilton candy melts for many times. It turns out the candy melts hold the color better. The only thing is I don’t leave the mixture in the refrigerator over night. i will try it today and let you know the result. Are you using a good candy thermometer? You said candy melts, which makes me think that may be the issue. Candy melts are almost always oil based, and not true chocolate. I would recommend checking the Belgian ingredients to be sure cocoa butter is listed as the main ingredient. Real chocolate and oil based mixes act very differently. Did you use glucose syrup or corn syrup? BIT URGENT!!! I WOULD APPRECIATE AN ANSWER TODAY AS I HAVE TO GLAZE THE CAKE IN ABOUT 24 HOURS. MY BAD PLANNING DOES NOT MAKE IT AN EMERGENCY FOR YOU BUT PLEASE ANSWER IF ANY OF YOU CAN! I am following this recipe to the letter. I have read EVERY single word on this page (ESP THE COMMENT SECTION). I am getting a decent glaze so far with this recipe and “bad chocolate” !!!! My specific questions are : I am unable to get “good white chocolate (with cocoa butter)”. I do not have time to order it online. I am using Nestle Toll house “white chocolate morsels” ..and yes, its got plenty of oils!! 1) How big a problem is this? 2) Have you (Philip) or anyone else tried using ‘cheap’ chocolate? How bad was it? I need to glaze the cake tommorow morning so please advise. I am making a mouse entremet cake for my child’s first birthday on Sunday APRIL 22 2018. Please respond as soon as you can. So glad you are going all in and trying this out. Wish the kiddo a happy birthday for me! The preference for real chocolate is for a few reasons… the cocoa butter certainly gives a bit more shiny appearance (and obviously taste), but you absolutely may swap it our if you have to. You will still get a wonderful result. A few pointers — Be absolutely sure your glaze is down to the correct temperature throughout. This is one of the most common mistakes that people make. Stir it well before getting the temperature readings. Always make more than you think you will need. You can store any leftover glaze in the fridge and rewarm it to the pouring temperature to use again.